Once: Some People Are More Clever Than Others! 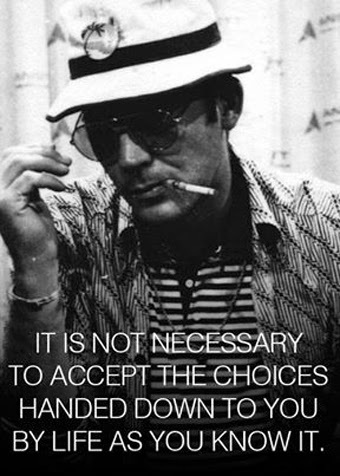 Hunter S Thompson is one of them. If you have the time, take a mo and read the letter Mr Thompson wrote (at the age of 20) to a friend of his. Thanks again to Brainpickings for the heads up.